I wrote the screenplay for this feature length film. I also directed the film which follows two sisters over the course of 72 hours. We hope to address the larger issue of disparity of women to men in the film industry both behind and in front of the camera. Winner of Best Film and Best Director at the International Women's Film Festival in Los Angeles. 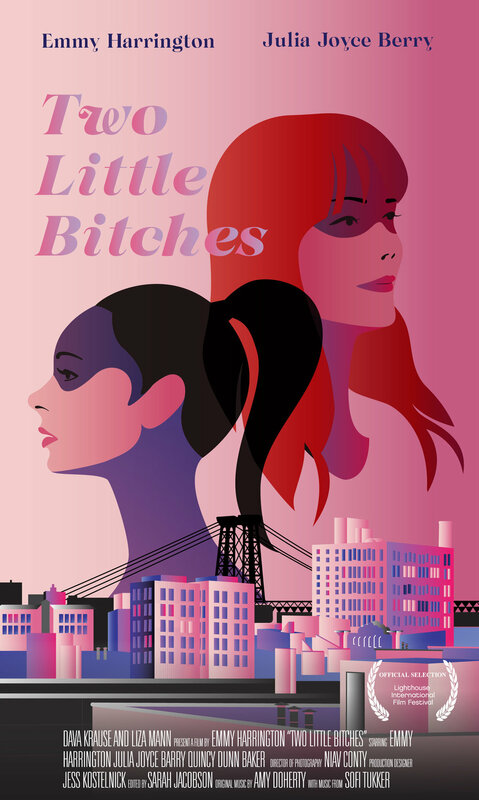 Two little Bi*#hes r is a feature film shot by an all female crew in Brooklyn which has completed principal photography. It is currently in post production and is expected to reach audiences by 2017. A brutal break up precipitates an unexpected meeting and two sisters are forced to confront their long standing tension.